3D Graphics – modeling, rendering, animation and lighting. 3D work includes product visualization, modeling, animation, rendering and lighting. Clients include product developers, television, animation studios, agencies and feature film production. 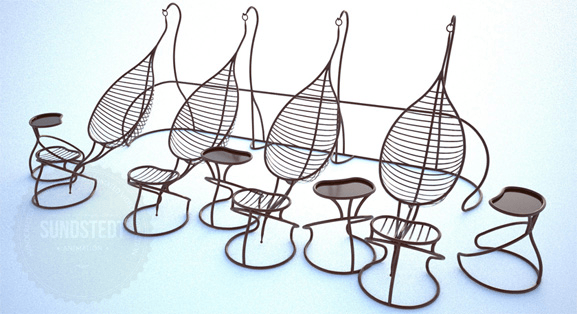 Sundstedt Animation creates custom models, animations and images on request. Our 3D Services include VFX, Product Visualization & Digital Media. If you commission animation & VFX for TV, Film Production or Digital media call us today! We can transform your ideas into stunning 2.5D/3D animations. An example of 3D Graphics service: modeling, lighting, material, rendering and a simple animation of a product. In this project, we created images and video using client supplied CAD manufacturing data to model and render a set of images for use in product promotion on the client’s new product and sales website. We also produce our very own unique 2.5D style of animations where we combine 2D and 3D animation to create our own custom made 2.5D animated short films and explainer videos that include 3D camera movements, depth of field, lights, shadows and 3D depth. 100 Years in Marketing, from the canvassing traveling salesman to the digital content marketer with Mad Men in between! ‘PlaceSpeak is a location-based community consultation platform. 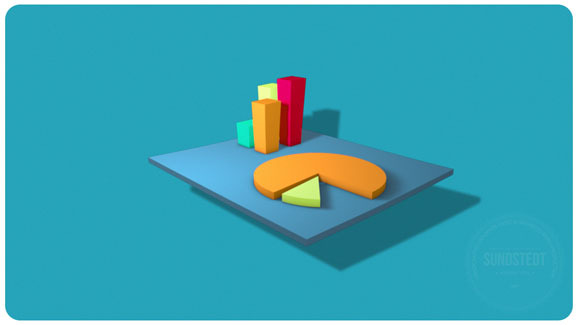 We create colorful 3D animated infographics including bespoke 3D graphs and charts, whatever style you are looking for. So let’s create something awesome together. Get in touch or email us at hello@sundstedt.co.uk today to see if we can help you with your 3D project.